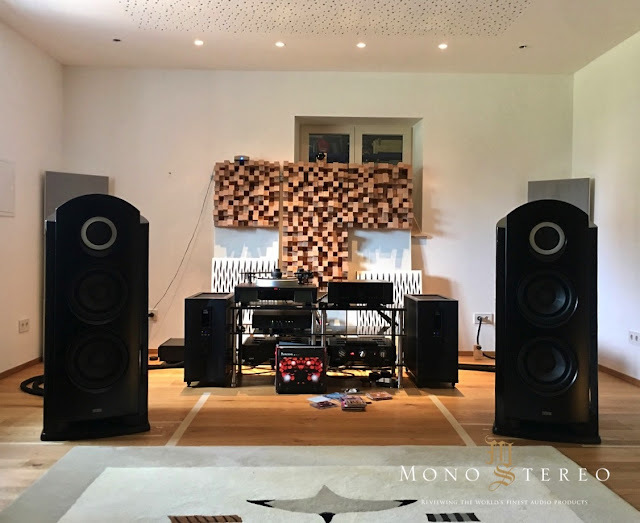 Mono and Stereo High-End Audio Magazine: THE HIGH END PRICE - THE HIGH END SOUND!? Today's morning visit brought some some sobering contemplation. Even after being around for quite a while in our beloved industry, I've again reminded myself, how its never good to be closed minded or uber-wise when it comes to sound of certain products (or high end audio systems). Fabrizio Baretta of Faber's cables has also fine tuned the system and has adjusted the phases. Yes, that particular controversial subject, that will instantly boil the blood of quite some audiophiles and music lovers. Mr. Baretta is one of the good hearted audio connoisseurs with the high end audio mileage and track record of system auditioning (fine-tuning/setting), that would baffle the minds of some of the most renowned and long standing people from our industry. When it comes to the subject matter, I would simply suggest to explore simple, straightforward change, that cost no money and take a bit of time. The differences are sometimes of no small impact and even the owner of this extreme audio system shared in conversation, that he had his doubts, but the practical results (with repeated testing) were not marginal by any means. And the sound? Well, this is not exactly affordable system, but it acted as an exemplary stand out ultra high end audio system, that have managed to perform far above the expectations, acting beyond being just the sum of expensive components. To be honest, I've had my doubts about the Beryllium drivers as too many high priced speakers on the market forces speakers to portray the music in the realms of intolerable brittleness. Yet, as proven with the ultimate (multi million) horn system in Italy, where all the drivers were made out of this exotic material, it all depends on the way they're implemented. The balanced potency of this setup have managed to conveyed the music with captivating natural vibrancy and transparency, as well with the surprisingly balanced trinity of tone, timbre and colour, that is rarely heard no matter how expensive the systems might be. One of the better/best systems I've had luxury to audition in a while. Period!